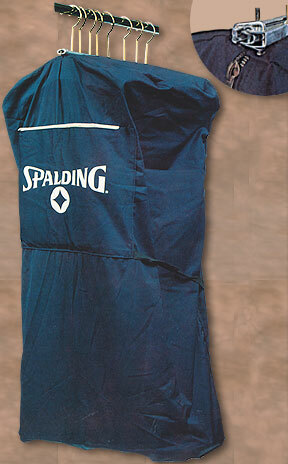 Used for over 75 years by salesmen and warehouses to transport and protect garments during transit and storage. Unique patented 15" locking system clamps your garments tight without creasing or folding. This worry free clamp is designed for securing with seals or padlocks. Features include full-length army approved zippers and a zippered utility pocket. Fabrics are heavy-duty industrial water-resistant nylon or fine quality canvas. 66" and 72" for gowns.